Ready to Take Your Social Media to the Next Level? Let’s Chat! Your business is new to the online world or you’ve been doing it yourself and want to continue! These services are for you! Do Social Media For Me! You realize your time is valuable and you just want someone to do it all for you! Look for packages that fit all budgets here! I’m keeping up with my online marketing on my own, I just need to know how to pull it all together for maximum results! Your Budget, Demographic and Revenue concerns. What sets eJenn Solutions apart from the others is our commitment to understand your demographic, your brand and ultimately your revenue growth. We don’t just post to post … we post for happy outcomes for the consumer and for the brand. We begin working with all companies at all price points by identifying your target market. Our strategies are then created around this demographic! We recognize all businesses are at different places in their growth. From start-up to corporations, we have packages to assist all budget sizes. We even have a “Do it yourself” plan for those who just aren’t ready for outsourcing their social media efforts. Most of our plans are month to month because we know, once you begin working with eJenn Solutions, you’ll see result and benefit of our commitment to your business. You can’t go wrong with eJenn Solutions! They have been helping my business grow with social networking for a few years now. Jennifer and her team are so professional and have had great suggestion for branding, content and establishing my online presence that truly represents me. It’s hard for me to be consistent with posting and eJenn Solutions takes away all of that pressure. I can focus on my work! eJenn Solutions has taken our social media efforts to a new high. Our brand image has improved immensely over the short time of working with them. 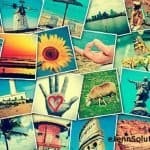 From Facebook, Twitter, Instagram, Google+ and email efforts, eJenn Solutions is now our go-to. So glad we found them. Amazing services and grows my Social Media and business. I've been using eJenn Solutions for a few years now and they have helped me grow my business. The time I would be spending on creating content and posting on social media, gives me the time to what I do best is close more clients and grow my business. I love working with Jennifer, she always has new ideas and knows the latest trends on social media. I really don't have to do any of the work, her team handles everything for me. If you want to grow your business you really have to spend less time doing the daily task and get and expert to do it for you. We'll be using eJenn Solutions for a long time and they will help us grow and reach new levels on Social Media.